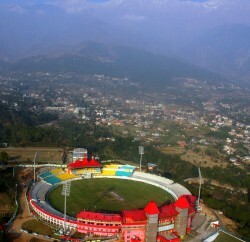 The Himachal Pradesh Cricket Association (HPCA) is all set to host to Kings XI Punjab’s three home matches of the Indian Premier League (IPL) at its picturesque stadium in Himachal Pradesh’s Dharamsala town. The HPCA Stadium, located at an altitude of 4,000 feet, is being counted as the second home ground for the Kings XI Punjab team, which originally belongs to Mohali near Chandigarh. The stadium will host the first IPL match between Kings XI Punjab and Delhi Daredevils on May 15 while the match with Royal Challengers is slated for May 17 and with Deccan Chargers May 21. 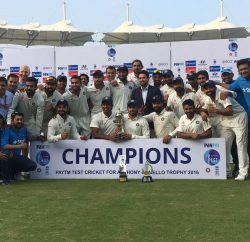 In the last edition Dharamsala has hosted couple of matches and with its picturesque scenic surrounding had enticed many cricketers including Indian captain MSD. 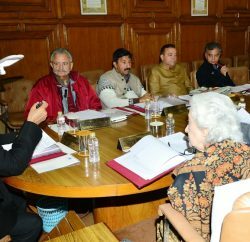 IPL is pumping life into the Himachal cricket and these matches will give extra energy to the budding cricketers as they will get chance to interact with the international level players and such activity will help them to take game seriously and hope will see few of them in the national squad.